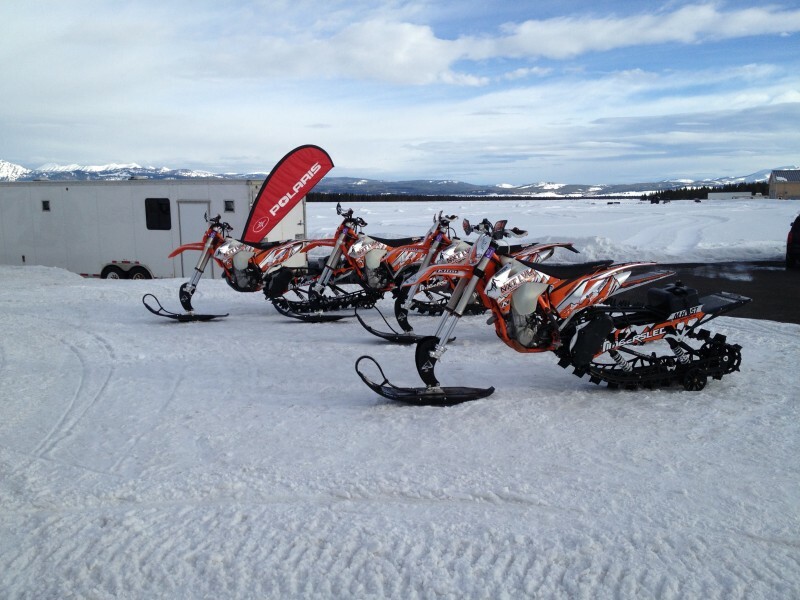 Ok, I know I say this just about every year, but being in West Yellowstone, MT in March and walking into the staging area to line upon line of new snowmobiles from the 4 OEMs is a really cool experience. Yes, sometimes what you think about being a snowmobile test rider or media member or whatever really is true. Being at Snow Shoot, at least until the long days catch up to you, is one such time. As usual, with my rider journal, I’m just going to throw some high level stuff at you all… some first impressions that I jotted down while sitting in the tech sessions, riding the sleds and talking with the OEM reps. There will be some follow-up articles that will launch into more detail, but this is just really meant to give you a quick, first peek at what stuck out to me. So the first thing that caught my attention as I walked into the staging area was a little line of machines tucked over in the north east corner of the area. I’ve spent a lot of time on motorcycles over the years, so seeing a line of KTM dirt bikes equipped with Timbersleds was instantly of interest to me. As you probably know Polaris bought Timbersled this past year and they were good enough to arrange to have some of them at Snow Shoot for us to ride. Thank you very much. It has been a while since I was on a dirt bike, but I took the chance to throw my leg over the Timbersled and I will say it was a total kick in the pants fun ride. More about them in a later article, but I will say the following: I don’t believe Polaris is looking to pull any riders away from the sledding market, but they are looking to expand the user base and maybe grab some dirt bike riders. It is not fun to ride on a hard trail, but get it off trail, in deep snow in the tight trees and it is a riot to ride. And Polaris has a lower cost unit, the ST120RAW, which is going to appeal to a lot of bike owners. I’ll continue right on talking about Polaris. Really the most buzz around the Polaris trailer this year is the new XCR models. The XCR is pretty much an iconic badge from Polaris. Just the mention of it brings back memories of Jack Struthers battling Kirk Hibbert in the I-500. Well, to mutilate a common phrase, “This isn’t your past racer’s XCR”. It is really pretty straightforward; take the Rush 800/600, ask your racers what they are doing to prep it for racing cross country and then put all those goodies on it from the factory. Yup, some of those things are things that ProS and ProX riders have been doing as well for trail riding, but this machine comes from the factory pretty much ready to race. That said, I found it to be the most capable trail sled I have ever ridden. A little tweak to the spring pre-load and a couple of clicks (less by the way than factory spec) on the wonderful Walker Evans shocks and it handled better than any trail sled I have ever thrown a leg over. I don’t want to forget to mention a couple of other things that caught my attention from Polaris. They have a new 600 Voyageur 144 using the AXYS chassis with an all new suspension design. I have been a fan of the Voyageur lineup and was excited to see the addition of this 600. And Polaris has obviously been watching what the mountain guys have been doing to their RMKs after taking them home from the dealer. It is no secret that the Ski-Doo T3 has been giving the ProRMK all it can handle in the steep and deep. A lot of RMK riders have been dropping coin on their brand new RMKs to add bigger tracks. So this year Polaris is giving the snowcheck option for a 174 3” LE. The new 174 3” track, termed a Series 7, is a Polaris exclusive. It is light and works very well. The 174 LE also comes with a chaincase which will allow riders to tailor the gear ration to their own preferences if they so choose. The 800 ProRMK 155 remains the lightest mountain sled out there at 408 lbs, but the 174 tips the scales at a still dang light 442 lbs. Ok, unless you have been living under a rock you know Yamaha introduced a new 998 cc, factory turbocharged motor this year putting out a published 180hp (me thinks it might be even more than that). 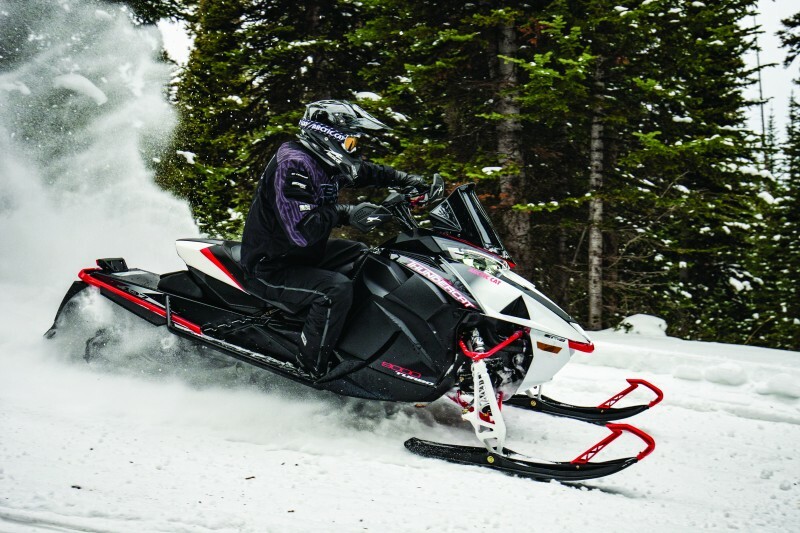 If you see a Yamaha sled on the snow with the Sidewinder sticker on the side DO NOT challenge the rider to a race unless you have spent upwards of $20k on your sled in engine mods. Of course, before walking into the Yamaha trailer I had heard about the new motor, but I hadn’t seen it. And Wade West, the all-things-Yamaha snowmobile rep wasn’t going to give us any early peaks, he had a big blanket thrown over the motor and I knew I was going to have to sit through his PowerPoint before getting a look at it. Ok, this is just a quick intro, but the new Yamaha power plant is dang cool. 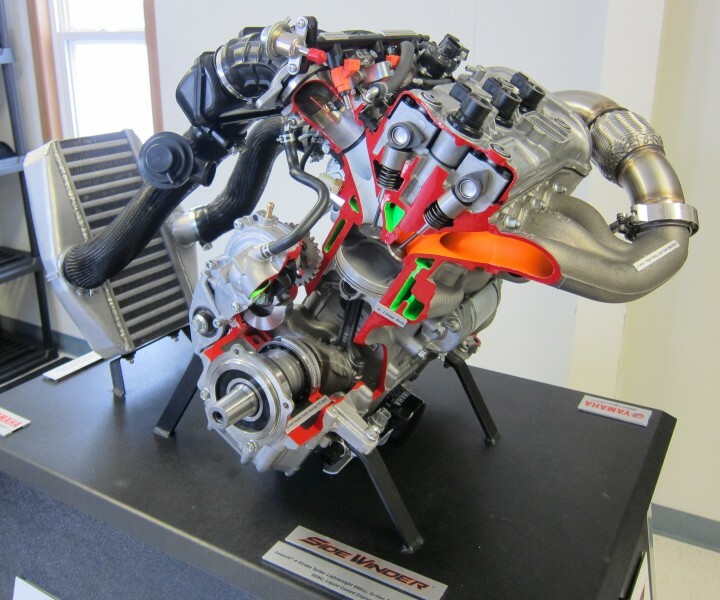 It was built from the crankcase up with one thing in mind… BOOST. Everything from the low oil pressure sensors to the lower compression pistons to the cast steel exhaust were designed around handling gobs of boost and therefor power and do it reliably. I rode several sleds from both Yamaha and Cat with this motor and all I can say is that when my eyes went blurry as the speedo went over 120mph at 6200 feet of elevation (notice, professional rider on closed course) I found myself laughing out loud. Yeah, we have a whole other article in the works with details about the Sidewinder. Boost baby, I mean BOOST! One more thing I’m going to blow your mind with is that Yamaha has a 2-stroke sled in North America for next year. No, I am not kidding and I am not being sarcastic. There has been a lot of customer and dealer call for Yamaha to bring the VK540 back to North America and for next year they are doing it. I really like this sled for the utility/trapper/backwoods access rider. It is the 540 fan cooled 2-stroke, easy to work on with no “stuff” stuck on it. 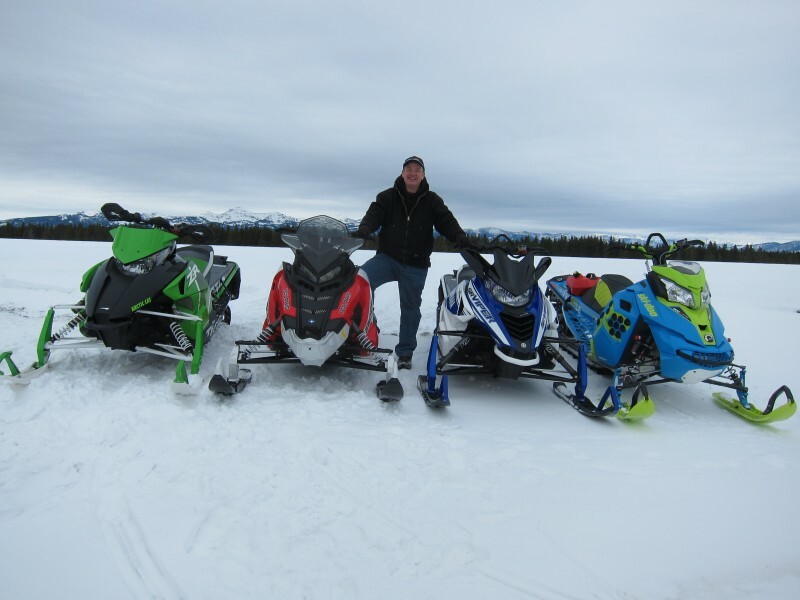 The relationship between Arctic Cat and Yamaha continues and by all accounts is paying off for both of them. For 2017, the Suzuki Z1 turbo is gone and replaced by the new Yamaha turbo. Just as fun to ride in the Cat offerings as the Yamaha ones. The Yamaha platform is roughly 10lbs lighter than the Suzuki was, not huge but everything else with it makes it a great package. Cat is using their own skis and clutches on the turbos and there is a difference in feel of how the Cat performs. I would say the Yamahas are a bit snappier out of the hole where the Cat hits softer but pulls a bit harder in the midrange. Line them up and they both have big top end. Cat has put the new turbo package in most of their segment offerings with the notable exception of the mountain segment. In fact, for 2017 the Mountain Cats are available with only the 600 and 800 2-stroke power plants. And a very cool thing Cat has done is giving us the Thundercat name back on the big ZR 9000 with the new turbo in it. I love the retro name. Oh and we did get a little sneak peek from Cat of their “snow bike”. They are taking a different approach than Polaris in that they are building a complete bike and they are going through the process of getting it classified as a snowmobile, not a motorcycle. That makes a difference in places that have restrictions on bikes using trails or off road areas that don’t restrict snowmobiles. Sorry, no pictures, we were shown the bike but not allowed to take pictures. Cat tells me that they will have a limited build in dealer showrooms next winter. And that brings me to Ski-Doo… and they have probably the most changes of anyone this year. The big news is both a new 850 motor, available in the MXZ, Renegade and Summit lines. And it is paired with the next generation 2017 REV platform. The new chassis centers up the mass of the sled laterally, or left to right. What that means is that the sled is balanced left to right. I notice this when comparing a 2016 Summit 800 to a 2017 Summit 850. The 16 will pull to the side when climbing big hills, towards the “heavier” side of the chassis. The new chassis stays straight when in a big climb. The 850 is all new. I asked the engineers and they said that the bolts that hold the case together are the same between the 800 and 850 but that is about it. Oiling system is designed much like that of a car motor as far as pressure pushing oil through the crank bearings. The rods bolt together on the crank shaft, which is a 2 piece design now. Oil consumption is decreased by up to 40%. Yeah, I can, and will go on later about this motor, but the basics are that it has more top end go than the 800 does and frankly from what I can tell with my seat of the pants dyno it has more top end than any other non force-fed stock motor out there. And just to tease you, Doo has a new drive clutch that has the whole industry paying attention. 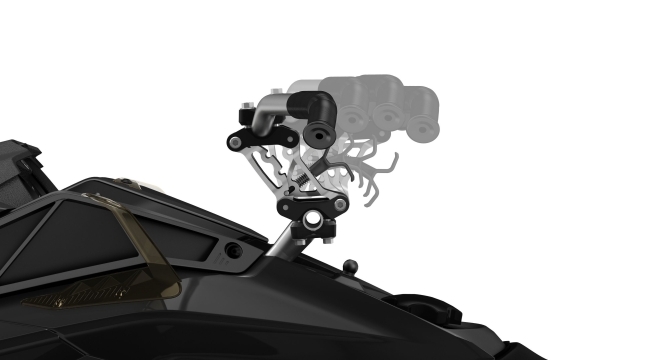 Oh and I should also note that the MXZ gets a new front to back adjustable riser that takes about 2.3 seconds to adjust to one of its 4 positions. And if the Ski-Doo hasn’t made the other OEMs nervous about their mountain offerings, then 2017 will. Take the new REV chassis, 850 E-TEC motor, pDrive clutch… throw in new bodywork to reduce drag in the snow, better running boards to evacuate the snow and push it all through the snow with a new 154 or 165 3×3.5”… yes 3.5” pitch track. 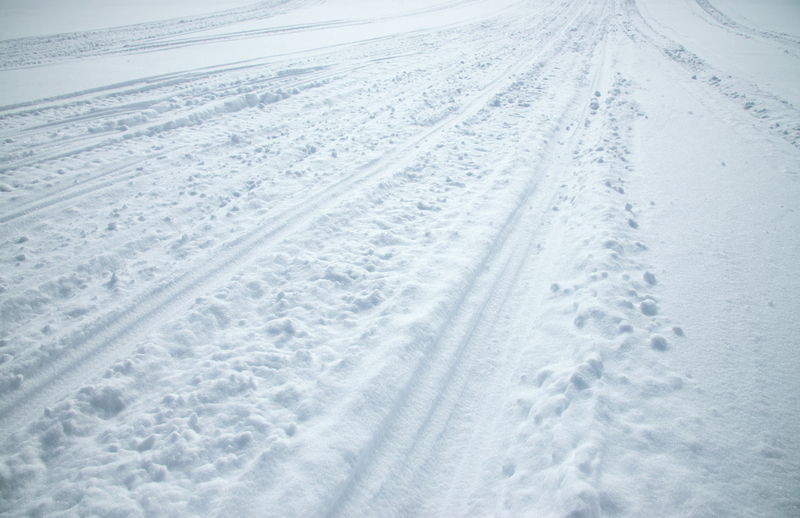 I will admit, the track is the unknown for me, but the Doo guys that have ridden it in the deep snow say it works great. I’m undecided on 3.5” between my paddles. But regardless, you take all those goodies, coupled with weight reductions in a myriad different places and you end up with a 165x3x3.5” shod mountain weapon with the most powerful 2-stroke available tipping the scales at 441lbs. If you are paying attention, that is 1 lb. lighter than the ProRMK 174 LE. 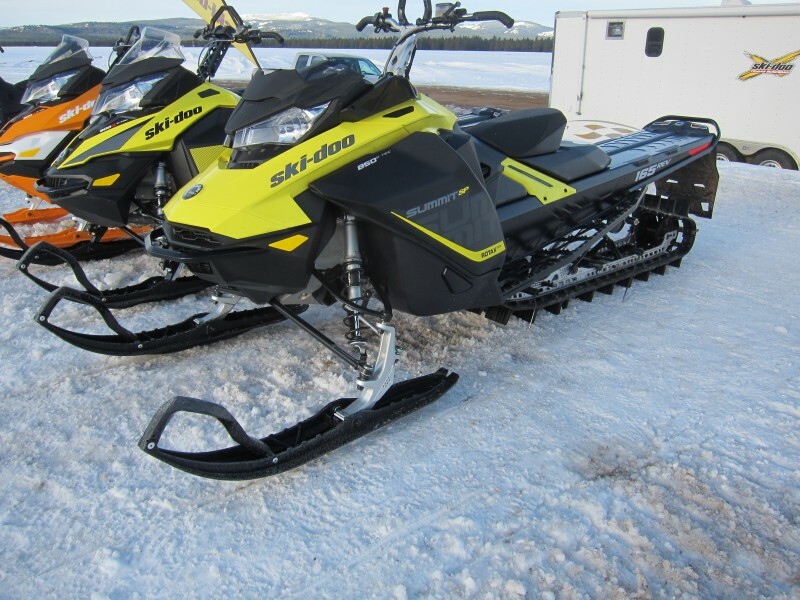 I do want to make one final mention of a jewel in the Ski-Doo lineup that I think might be overlooked and that is the Summit Sport. For 2017 the Summit Sport is equipped with the wonderful 600 carbed motor. It is in the REV-XP platform with a few of the XM goodies thrown in such as the running boards. It sits atop the 16x146x2.25” PowderMax FlexEdge track… total package weight of 431lbs. 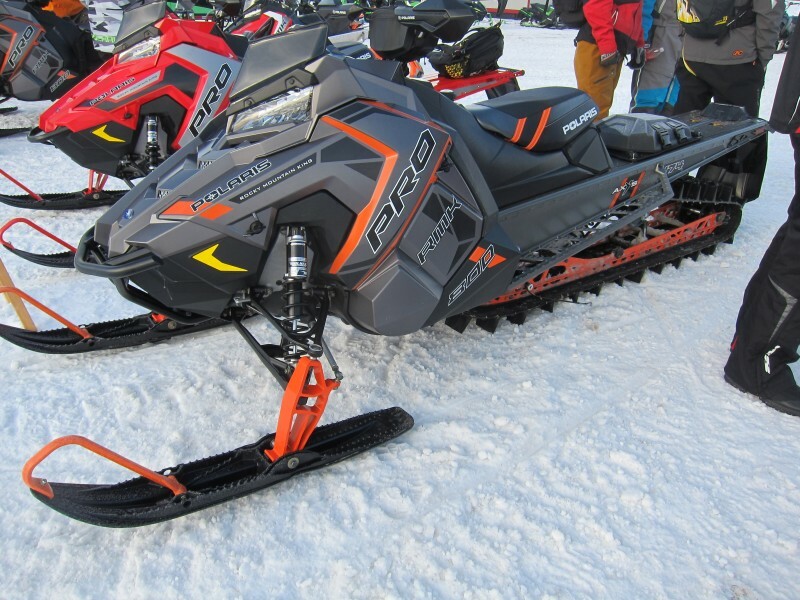 But the kicker is it is a true entry level mountain sled even in price, which MSRP is $7999. Yes, you read that right. Some will call it a bargain sled, others an entry level sled… I call that stupid great value. I find myself complaining lots of times about how expensive it is for new riders to get into the sport. The Summit Sport is a very capable mountain sled at a price that reminds me more of 1997 than of 2017. So once again it was a great Snow Shoot. We have 2 new motors – one a fully warrantied factory turbo, a new chassis, branching out into new platforms, retro named race ready sleds and other assorted new technologies from all the OEMs. It is good to be a snowmobiler this year.